In most cases, a sale is not a coincidence, but a result of purposeful actions made by a smart marketer. Jordie van Rijn is such a marketer. He knows how to move smoothly from an email subject line to a sale. 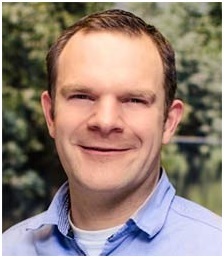 Jordie van Rijn is an independent email marketing consultant with his company eMailMonday. He specializes in email marketing and event-driven campaigns, helping brands to get the most from their email marketing efforts. Q1 In addition to email marketing, you are frequently endorsed on LinkedIn for conversion optimization. What is the first step every email marketer can take to increase conversions? I think every email marketer’s passport should have a big fat stamp that says “Does Conversion Optimization across the board”. The starting point is to bring your email program to the level of best practices. Email marketing is about email. Of course, there are steps after the click-through; generally, the conversion takes place on the landing page or site. To gain more revenue and present better user experience, going from one to the other should be a smooth transition for the recipient. Simplifying and making the conversion path clearer does just that. It is great to surprise and delight your subscribers, but there should be no surprises or friction in the steps between subject line and sale. Q2 In your mind, what is the TOP email marketing trend this year? Do many marketers really follow it? What I see getting a lot of attention this year is marketing automation, particularly in B2C, it finally seems to be catching on. Marketers and suppliers realize that automating tasks can save a lot of time. One of the most heard “hold me backs” is a lack of time or resources. Automation can help reduce the time that needs to be spent on creating and sending emails so that marketers can focus on aspects that actually add more value to their program. An example of this is strategy, which is number two on marketers’ “this is holding me back” list. Q3 Are you keen on trying new things in email marketing? What is the latest email marketing case study you think is outstanding? Innovating your own email campaigns generally isn’t technical, but rather a different way to present your message or to reach your goals. By changing up the creative side of your email you can keep things fresh. An example of creative thinking I like comes from Mudpie. They do a triggered birthday email, but instead of asking for your birthday, you can provide whatever important day you want. So it can be someone else’s birthday (think gifting) or an anniversary, baby shower, etc. This is a way of thinking outside of the box. They are having a bigger effect by reaching people on their important days. Q4 Can you provide two tips that every email marketer can perform today in order to improve their results, whatever their strategy or project? Squint your eyes and look at your email campaign. Is it clear what it is about? No? Go back to the drawing board; people don’t read but scan your emails, so clarity is the most important aspect. Make your colleagues subscribe to the email program and regularly ask for feedback; they might come up with a million dollar idea or simply a general improvement. I liked the article post. Good, attractive & impressive subject line and the content should not be promotional. These two tips really works and leads into more conversion rate & higher ROI.